Around a quarter of the way through a typically riveting Season 2 episode of The Sopranos, Dr Jennifer Melfi reiterates a vivid nightmare she has had to her own psychologist Elliot Kupferberg (played by Peter Bogdanovich). Kupferberg stares at her, and asks her quietly – “Why do we like rollercoasters Jennifer? Scary movies?” Melfi knows the answer: “To experience the thrill of being terrified… without having to experience the consequences”. It might come from a completely unrelated source, but it’s as good an explanation as any when it comes to describing how horror films make us feel as individuals, and what makes us keep going back for more. There’s nothing quite as remarkable as a viewing experience that temporarily removes you from the safe surroundings of reality, and places you in a terrifying alternative world from which there appears to be no escape. Whilst America, Japan, Germany and Spain are renowned for producing horror films that have kept audiences awake for weeks, the British Isles is another country that has given a considerable amount toward horror cinema over the years. Whilst covering every terrific British horror film ever made be a somewhat insurmountable task, here at Taste of Cinema we’ve opted to select a spread of movies across the decades that reflect the kind of contribution Britain has made toward making horror film the popular genre it is today. 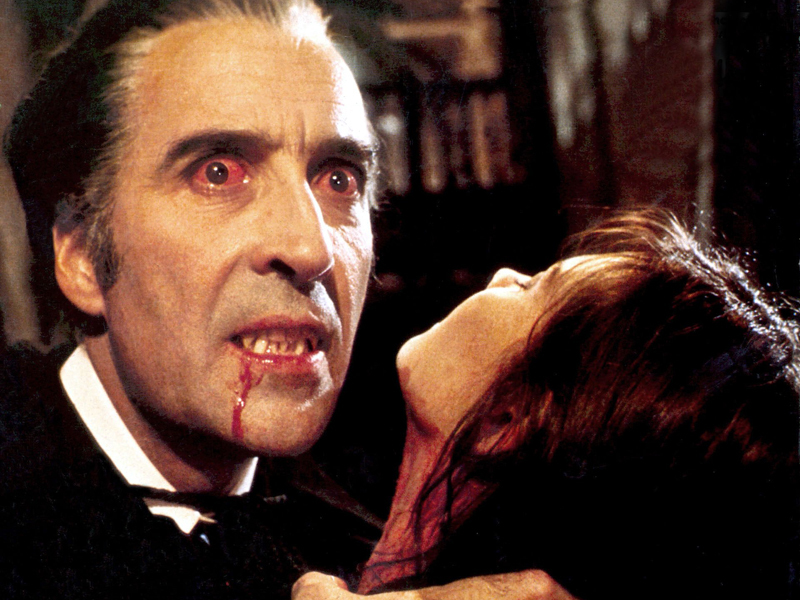 These are the films that represent the finest in British horror since cinema’s inception. Hoodie-horror Eden Lake carries a chilling realism not just in its execution, but also given how it arrived on the back of the revolting happy-slap craze that briefly engulfed the British nation in the form of blurry mobile phone videos back in the early noughties. The plot sees Michael Fassbender and Kelly Reilly star as a couple who travel to the eponymous Eden Lake for an idyllic holiday, only for their camping trip to be continually interrupted by the vile gang of youths who loiter in the area. Tensions rise up until the point where Fassbender actively confronts the teens, and it is only then that the couple realise that these youngsters are a lot more than simply unpleasant people. In the same vein as “Harry Brown”, James Watkins’ film gives hood-bearing teens a demonic presence, but ensures to maintain a sense of familiarity and authenticity. Everything is framed within realist aesthetics, punctuated by the ominous rattle of bicycle wheels skidding across crunchy dry bark and the phlegmy drawl of Jack O’Connell – who plays the role of the manipulative gang leader. The events that conspire lead to Reilley taking the reins for long periods, and by the time that the picture has reached its unsettling climax she has adopted a haggered, blood-stained appearance that invites comparisons to the weary, depleted female leads of I Spit On Your Grave and Last House On The Left. Surely no accident. One particularly intelligent moment in Eden Lake arrives late in the day, where the communication and interaction between several grown men intriguingly mirrors that of the teens we’ve been watching all the way through the film. It’s about as unsettling as it gets, and whilst Eden Lake is a tough watch, it’s certainly a rewarding one for horror fans. The Descent seemed to come from absolutely nowhere and take everyone by surprise. Directed by Neil Marshall (the man who has steered Game of Thrones, Hannibal and Constantine episodes over his career) it takes an all-female cast and plunges them into the depths of North Carolina caves. The group of girls wander into unknown territory after going on a spelunking expedition, become trapped with no exit in sight, and eventually encounter some truly bloodthirsty creatures who are unlike anything that resides in daylight of the ordinary world. Tense and absolutely terrifying, The Descent is one of the better British horror films of recent years, and smartly draws on its claustrophobic setting to create a rich atmosphere that is enough to scare you senseless. Even if you haven’t seen Village of the Damned, chances are you’ll still recognise the eerie image of glowing eyes emanating from the pale faces of mop-topped children. It’s a movie that’s heavily referenced in the modern day, which is testament to the impact it created during its original run in 1960. Eloquent and precocious kids can often come across as a little spooky, and Wolf Rilla’s movie certainly has a lot to answer for in this respect. The plot is an intriguing one: a small village in the UK suddenly falls asleep with no explanation. Everyone within the tiny region of Midwich tumble to the floor one day, and when the authorities go to inspect the area, their men too fall into a state of unconsciousness. A short time later the village suddenly wakes up, and within a matter of months all the women give birth to a bunch of eerie, Aryan children who use telepathic powers to exert control over the adults in the village. 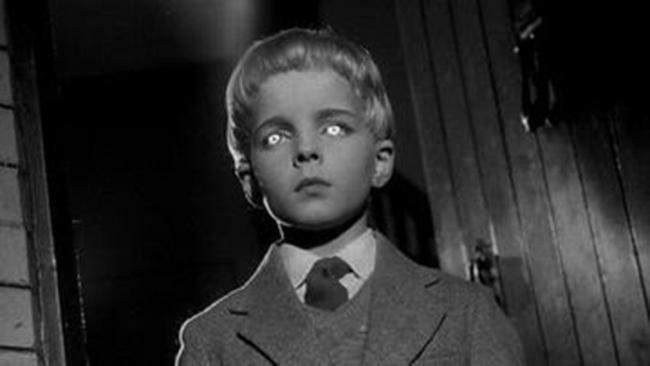 Village of the Damned is a classic drive-in horror film – harbouring the ability to send shivers wriggling down your spine. Hundreds of horror movies have created their very own versions of chilling, wild-eyed kids, but none of them are quite as curiously creepy as the ones born in Midwich. 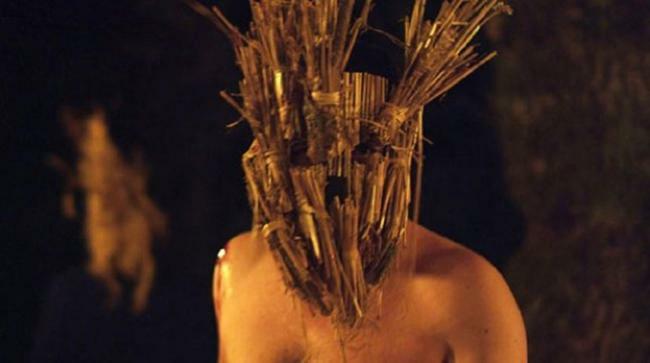 Watching Ben Wheatley’s Kill List is a bit like eating a piece of meat that’s slightly off. Part of you is aware that there’s something not quite right as you’re tucking in, but it’s not enough to stop you in your tracks. After a while a sense of regret bubbles up as your stomach gurgles, and before long it’s too late – you’re trapped in a terrifying, nauseating fever dream. The plot involves two former soldiers who return home to their ordinary lives and opt to take up an assassination contract. They’re provided with a list of names to wipe out – thus the movie’s title. Things get creepier and creepier the closer they get to finishing the job, and before long Kill List has roared into an entirely different genre altogether. It’s a little tricky to acknowledge the brilliance of Kill List in the immediate aftermath of the gawp-inducing final scene. But a brilliant film it certainly is. Wheatley’s picture morphs from an intriguing thriller into sickening horror so surreptitiously that you’re left shaken and stunned by the time the credits roll. You might also be a little angry at yourself for not turning away when you had the opportunity. Very few horror movies have quite the same effect as Kill List, and if you’re a fan of creepy, innovative horror – then you owe it to yourself to see this film. Wonderfully weird from start to finish, Berberian Sound Studio stars Toby Jones as an unsuspecting sound engineer who accidentally finds himself involved with a suspiciously authentic-looking Italian giallo movie. Finding himself a little unsettled in the company of the crew, the sound technician slowly begins to become both paranoid and delusional, until eventually his life begins to blend with that of the movie that he has contributed to. Twisted and ambitious, Berberian Sound Studio wasn’t wholly accepted by the public upon release, and it’s easy to see why given its maddening, headache-inducing narrative. Still, a closer look at the movie reveals something quite spectacular. If you can bring yourself to take in multiple viewings, you’ll find Peter Strickland’s bizarre escapade into the concept of blurred boundaries a highly fulfilling viewing experience. Danny Boyle’s rip-roaring pseudo-zombie flick is considered one of the finest British horror films of recent times, and this reputation is most certainly justified. 28 Days Later was a movie that brought fresh perspective to a tired genre in 2002 – differing considerably from the production-line teen slashers (that seemed to be hitting theatres every week at the time) both in execution and style. Unabashedly taking inspiration from Day Of The Triffids (itself a close contender for a place on this list), 28 Days Later briefly sets the pretext before protagonist Jim (Cillian Murphy) opens his eyes in a hospital bed. He sets about wandering the deserted streets of London, with some magnificent shots creating a hauntingly realistic depiction of an evacuated UK capital. Jim eventually sees first-hand why nobody is around anymore, and takes refuge with two additional survivors. The movie is shot on digital video, adopting a grainy, cloudy texture that heightens the tense, frenzied atmosphere. The final product is something that looks as though it was cobbled together from footage caught by the last operative surveillance cameras in Britain. When the infected roar onto the screen the whole picture becomes immersed in hyper-kinetic action sequences, but Boyle is far more interested in his human characters than his salivating red-eyed villains. 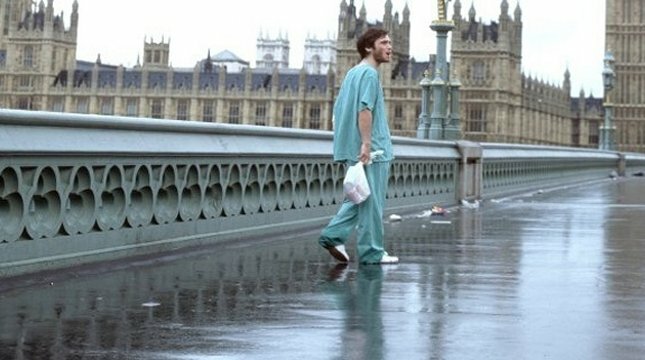 Half socio-political allegory that offers commentary on the state of current society, and half horror-thriller, 28 Days Later is a film that manages to captivate audiences for a wide variety of reasons, without allocating millions to the makeup budget.